Matt Furches found his love of nature as a child growing up in rural Southeastern Pennsylvania, This region is Amish country, where self-sufficiency and an inter-dependent lifestyle are the tenants of life. Matt’s childhood dreams included living the life of a native scout or the likes of Natty Bumppo, “Hawkeye” in Last of the Mohicans. Obtaining the skills of living from the land with little in the way of gear were his aspirations. Learning the ways of nature was the path toward these aspirations. A tattered birding field guide illustrated by John J. Audubon – found while perusing an antique store at age 12 – and a pair of binoculars were the beginnings of Matt’s naturalist studies. Ever keen for new knowledge, Matt came across Tom Browns writings. He tried to master any skill he could from Tom’s Field Guide to Wilderness Survival. Today Matt is still fascinated by birds and continues to expand his early studies of Tom Brown to include all manner of skills for living in nature. Matt’s first job was as a zookeeper. He found himself attracted to the possibility of learning more about animals by working with them directly. Though intimidated by this first foray into the job market, he took a chance and submitted his job application. For eight years in two different zoos, the position of zookeeper provided opportunities to better understand animals and their ways. Matt still had an unfulfilled dream to hike the Appalachian Trail – from Georgia to Maine – completely immersed in nature for up to six months. This was an immense challenge for Matt since he had never backpacked for more than five days. He took a hiatus from zookeeping to face this challenge. The hike gave him the opportunity to hone his skills and the opportunity to realize that there was still much to learn. Particularly, Matt wanted to learn to backpack with minimal reliance on modern gear. Matt married Pam, his high school sweetheart, in 2006, and they began to build their lives together. They were continuously drawn to the simpler lifestyle living closer to the earth. While living in an urban community they found themselves constantly enticed to hike in the forests of northern Pennsylvania. Visions of being an outdoor educator became stronger and stronger. 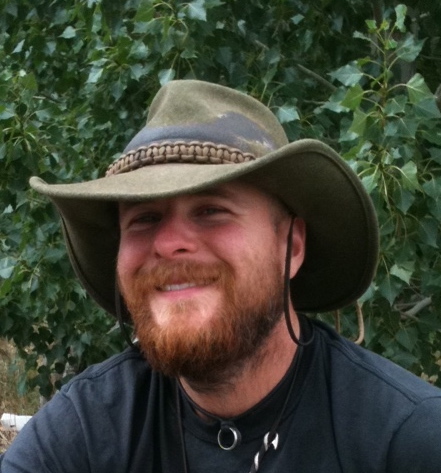 Matt started looking for his mentors in bushcraft, survival and outdoor education. Matt’s pivotal year was 2008. The summer was spent studying outdoor skills with Midwest Native Skills Institute, Boulder Outdoor Survival School (BOSS), and Ancient Pathways. He designed his summer curriculum of studies around primitive skills, survival skills and natural history. These studies lead him to teaching assistant positions with Tom Laskowski of Midwest Native Skills Institute, Tony Nester of Ancient Pathways and an apprentice instructor position with BOSS under the leadership of Jeff Sanders. Finally, Matt found his path in outdoor education. Matt, Pam and Charlie – their Shiba Inu – have finally returned to the rural lifestyle. They moved to Boulder, Utah in the spring of 2013. It is here that they live in a wall tent where they have plenty of opportunity to not just practice camp craft skills but live them every day. Matt is thrilled to, once again, be able to team up with Jeff and teach trail craft, camp craft and nature observation skills.